(www.latimes.com) – U.S. and allied warships and warplanes in the eastern Mediterranean launched a fiery barrage of missiles at multiple military targets in Syria to punish the Russian-backed government in Damascus for its alleged use of poison gas against civilians last weekend, President Trump announced. Trump authorized the punitive attack against President Bashar Assad’s government and sought to cripple its chemical and biological weapons facilities with what he called precision airstrikes. French and British forces joined the attack, Trump said in a televised address Friday night. 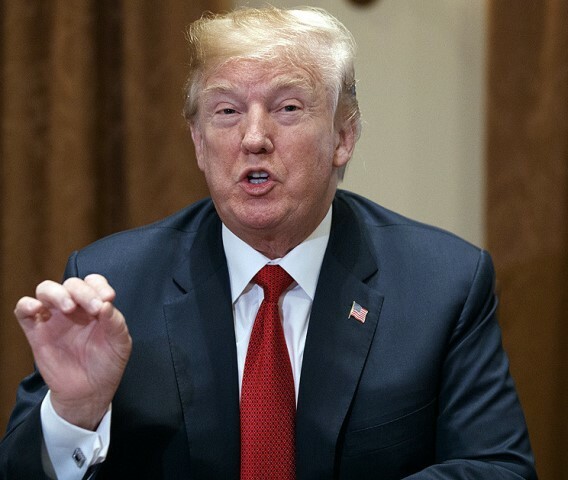 “We are prepared to sustain this response until the Syrian regime stops its use of prohibited chemical agents,” Trump said. Loud explosions and air raid sirens were reported in the Syrian capital as he spoke at 9 p.m. in Washington. It was before dawn Saturday in Damascus.